In the peaceful surroundings of Stella Village, guests wishing to combine their holidays with exercise are welcome to use and enjoy all the sports facilities found on the premises of Stella Village. Enjoy a tennis match under the hot Cretan sun, or get together with friends or other athletes of volleyball and spend endless time feeling the hot sand under your feet. Football (soccer) pitches are also at our guests’ disposal. 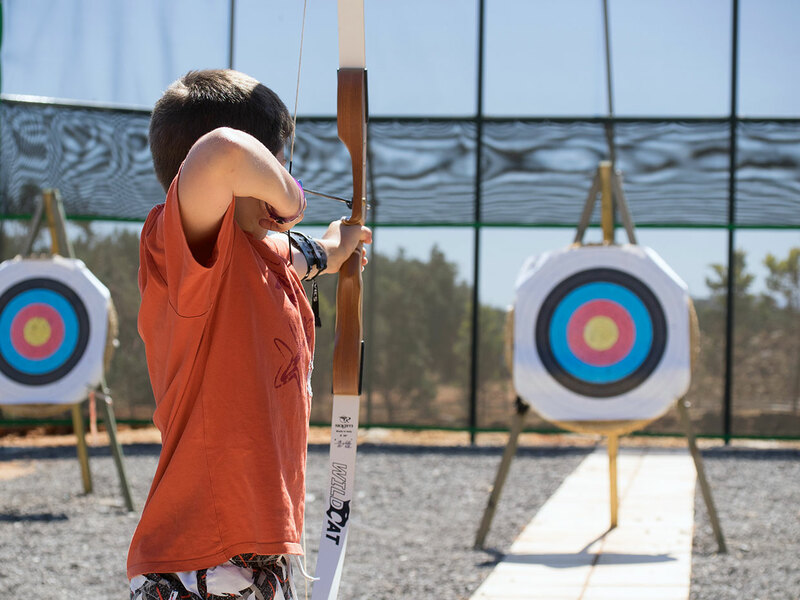 Stella Village offers a mini gold area, archery and table tennis to guests residing at its premises. 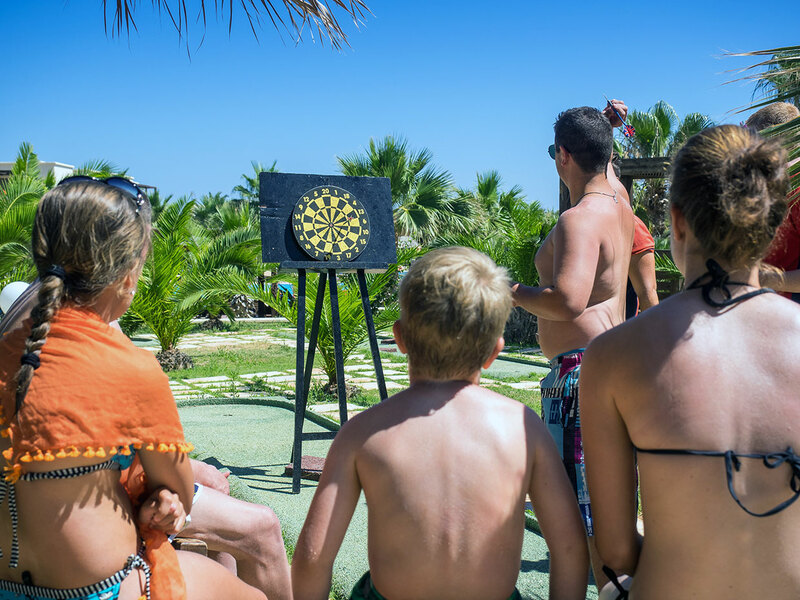 Entertainment and sports are part of our guests’ daily routine here at Stella Village. The Animation team organizes daily non-stop events and activities for all ages during the day and in the evening. Allow to be entertained by our team of experienced animators and have fun with your family and friends collect fun and entertaining moments throughout your stay at Stella Village. For sports lovers, Stella Village has arranged a selection of sports choices to suit a hotel of its status. Enjoy practicing your favorite one and combine exercise and relaxation in the dreamy and luxurious environment of Stella Village.